Summer is almost here, which means it’s BBQ season! 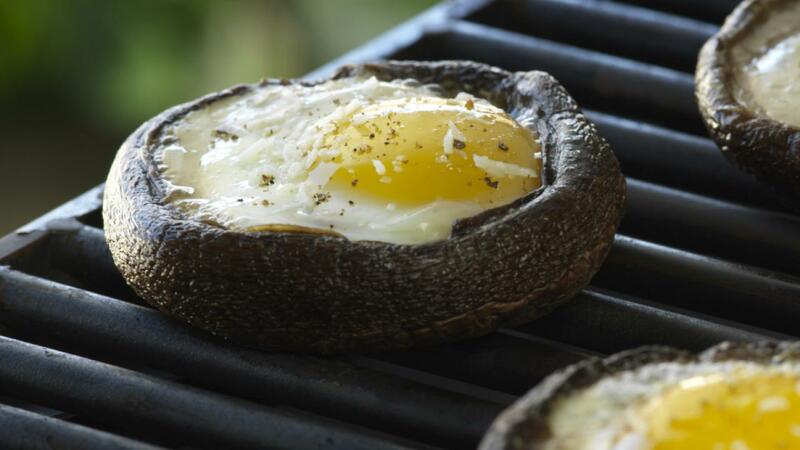 Get grilling this Victoria Day with these BBQ egg recipes to bring on summer. Get your tongs ready, because these recipes are quick, easy, and oh so tasty! 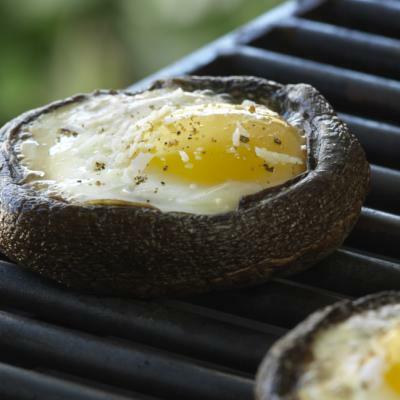 Grilled Eggs in Portobello Mushroom—These grilled portobello mushroom caps are a fantastic appetizer for a group. With its deep cavity and high edge, the portobello mushroom forms a natural bowl shape to hold the egg, just be sure not to overfill. Enjoy with a sprinkle of grated cheese, pepper and chopped fresh herbs. Grilled Fried Eggs—Keep your cool by preparing breakfast outside in the spring air, instead of in the kitchen. 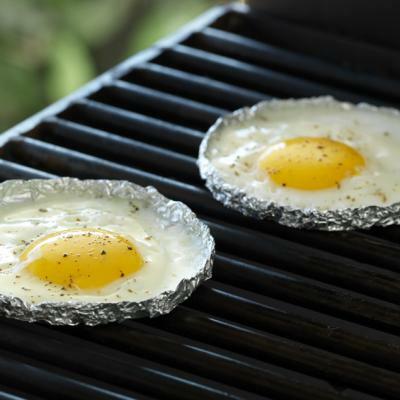 These fried eggs cook easily on the barbecue, and thanks to their individual foil tray cleanup is easy! Serve on their own with toast or in this Egg Burger recipe. Grilled Eggs in Sweet Peppers—Serve these brightly coloured sweet peppers with their cheesy herbed egg filling as a vegetarian option at your next BBQ. What’s best about this recipe is the peppers act as edible bowls and reduce dishes when cooking for a large group. 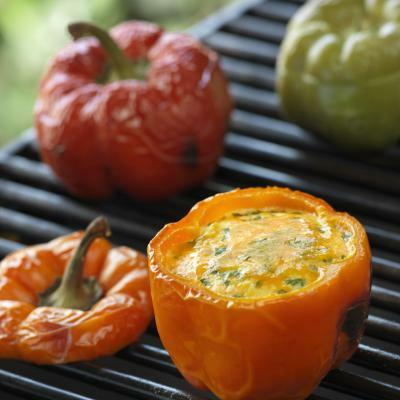 When shopping for this recipe, look for plump peppers with a square shape, as they will sit level on the grill top. Breakfast Flatbread—These Breakfast Flatbreads make a great start to a day in the woods, but are equally tasty as an appetizer for your next BBQ get-together. Using store-bought pizza dough, create the flatbread shape and cook on the grill, then brush each flatbread with garlic oil and top with mozzarella, spinach, tomatoes and an egg cracked right in the center. In just 8 minutes your mini flatbreads are grilled and good to go!